As I was eating breakfast in my sunroom this morning, I caught a glimpse of movement through the window. 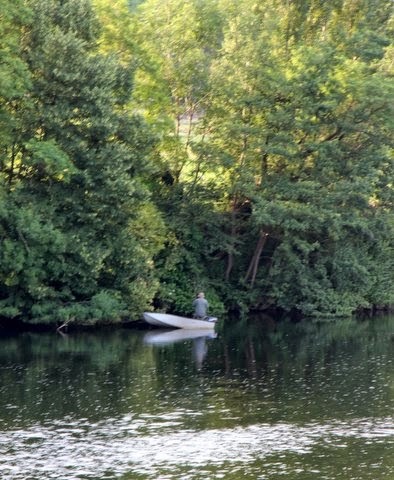 There by the opposite river bank drifting lazily downstream was an early morning angler. What a peaceful way to start a summer day! What a beautiful view of the river from your sunroom.